Shop online for 27 wheeliant plastic models at discounts up to 47%. 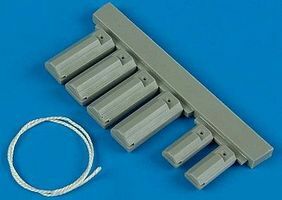 This is the 1/48 Scale USAF/USMC Land Based Wooden-Type Wheel Chocks w/Nylon Rope (4) from Wheeliant. 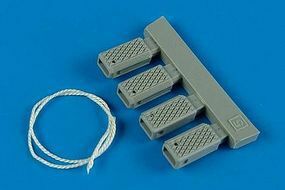 This is the 1/32 Scale USAF/USMC Land Based Wooden-Type Wheel Chocks w/Nylon Rope (4) from Wheeliant. 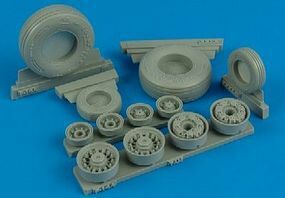 This is the 1/32 Scale F14A Weighted Wheels for Tamiya from Wheeliant. 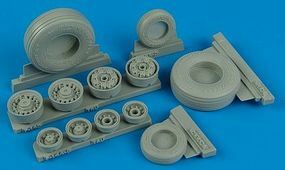 This is the 1/48 Scale F16C (Block 40/50/60 ) Weighted Wheels for Tamiya and Kinetic Models from Wheeliant. This is the 1/48 Scale F14A Tomcat Weighted Wheels for Academy from Wheeliant. 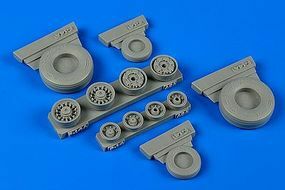 This is the 1/32 Scale F14D Weighted Wheels for Trumpeter from Wheeliant. 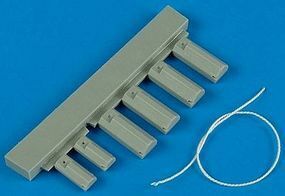 This is the 1/32 Scale Universal Navy Late Wheel Chocks w/Nylon Rope (4) from Wheeliant. This is the 1/48 Scale F14B/D Tomcat Weighted Wheels for Hobbyboss from Wheeliant. This is the 1/32 Scale F16C/CJ Goodyear Weighted Wheels for TAamiya from Wheeliant. 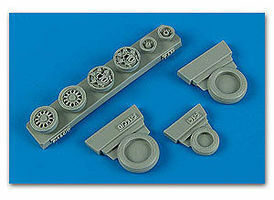 This is the 1/48 Scale Navy Early NCW4/5 Wheel Chocks w/Fixed Bar (4) from Wheeliant. This is the 1/32 Scale Navy Early NCW4/5 Wheel Chocks w/Fixed Bar (4) from Wheeliant. This is the 1/32 Scale Navy Late Wheel Chocks NWC 4/5 w/Fixed Bar (4) from Wheeliant. This is the 1/48 Scale F14B/D Weighted Wheels for Hasegawa from Wheeliant. 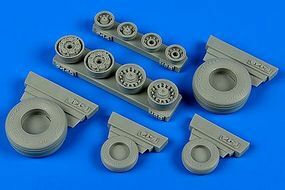 This is the 1/32 Scale F16CG/CJ Goodyear Weighted Wheels for Academy from Wheeliant. This is the 1/48 Scale Universal Navy Early Wheel Chocks w/Nylon Rope (4) from Wheeliant. This is the 1/48 Scale Universal Navy Late Wheel Chocks w/Nylon Rope (4) from Wheeliant.